ONSIGHT adds to its creative team by hiring colourist Max Horton. Joining as Senior Colourist, Max’s industry renowned grading skills make him an exciting addition to the company. Max has recently collaborated with ONSIGHT on AC/DC: Rock or Bust for Serpent Productions and the upcoming Elaine Paige I'm Still Here 50th Anniversary Concert Live from Royal Albert Hall (picture inset) for Nineteen Fifteen. His credits include Effie Gray, Gravity, Black Mirror, Fantastic Mr. Fox, Shaun of the Dead and Pride & Prejudice. ONSIGHT is the proud provider of cameras and picture post in 4K, HD, 3D and 2D for Colossus Productions’ new landmark series Conquest of the Skies (3D) - the facility’s seventh David Attenborough collaboration with Atlantic Productions and Sky. The Post division designed a 4K workflow and oversaw the media management, based on a variety of camera formats, including the Epic as provided by ONSIGHT's camera team. There was also a mixture of shooting techniques, such as a 3D-Epic equipped Octocopter by Digital Cinema Films with R&D from ONSIGHT. This captured incredible aerial footage in Borneo and the UK’s Fenland. The camera division also provided a wide range of innovative 3D systems. 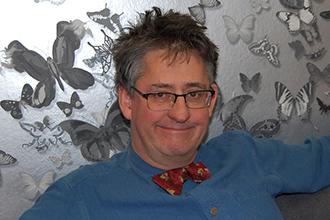 ONSIGHT is the provider of cameras and picture post for Oxford Scientific Films’ new ITV series The Queen’s Garden. 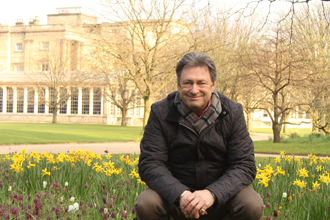 Alan Titchmarsh spends a whole year exploring a royal treasure, the Buckingham Palace Garden. The film uses a variety of cutting edge camera methods for natural history. These include timelapse photography and infrared, overseen by lead DoP Robin Cox. ONSIGHT supplied the principal camera, the RED Epic, with E mount lenses. 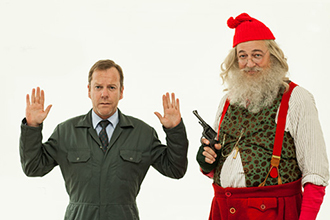 Marked is a new Christmas Special, part of the successful Playhouse Presents strand from Sky Arts. Produced by Sprout Pictures, ONSIGHT provided the post production. After hosting the offline, involving Avid kit from our Edit Rental team, ONSIGHT continued with the online and grade. Senior Colourist Andy Lee created a unique filmic look, in discussing the approach with established DoP Rodney Charters who chose the Alexa and Anamorphic lenses. Lee particularly emphasised the reds and greens to help evoke the festive feel. As Dubbing Mixer, Andy Coles performed the sound design, final mix and layback. 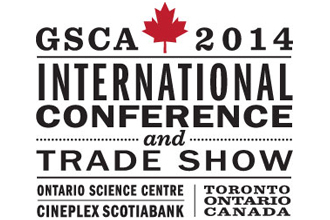 As a leader in facilities for giant screen cinema, ONSIGHT is sponsoring the GSCA 2014 International Conference and Trade Show on September 20-23 in Toronto, Canada. The 4-day event showcases new and developing projects as well as offering advice, demos and discussions for the industry. The Giant Screen Cinema Association (GSCA) advances the business of producing and presenting educational giant screen and immersive cinema experiences globally.